SHAUN: Welcome to the GICS sector master class. In September of 2018 major changes occur in 3 of the 11 GIC sectors. 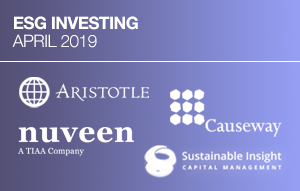 These important and evolutionary restructurings and their impact to sector tools and industries, including the S&P 500 are the topic of our master class today. SHAUN: Hello, I'm Shaun Wurzbach, managing director at S&P Dow Jones Indices and I'm joined today by 5 experts on GICS and sector tools to discuss and help us thoroughly understand one, what's changing and why. Two, what are the implications of these changes, and three using the S&P as our framework how do the changes impact the sector tool kit? SHAUN: Before we begin with that, let me briefly set the stage for our discussion today. 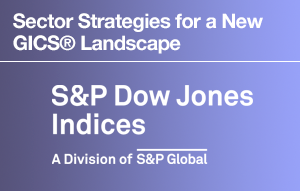 In 1999, the S&P Dow Jones Inices and MSCI jointly developed the global industry classification standard, or GICS, to establish a global standard for categorizing companies into sectors, industry groups, industries and sub-industries and now serves as the dominant way to group stocks within the S&P 500 and with most major equity indices. GICS was developed in response to the global financial communities need for one complete and consistent set of global sector and industry definitions enabling asset owners, asset mangers and investment research specialists to make the seamless company sector and industry comparisons across countries, regions, and globally. SHAUN: In 2017, S&P Dow Jones Indices and MSCI jointly announced a consultation on potential GICS changes with impact to telecommunication services, Information technology and consumer discretionary sectors. And in November of last year a decision on GIC structural changes affecting these three sectors were announced. SHAUN: In February of 2018, the implementation date of these changes, of Monday September 24, 2018 was publically announced. 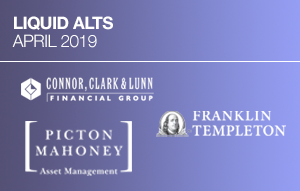 And with that I'd like to welcome Dr. David Blitzer managing director and chairman of the index committee at S&P Dow Jones Indices and Rob Forsyth head of ETF strategists at State Street Global advisors to discuss what is changing and why. Well David and Rob welcome and thanks for being here today. SHAUN: Well David I think it would be interesting to start with your role as chairman of the index committee, how does that inform changes within the S&P 500 and other headline indices? DAVID: Every S&P index is governed by one committee someplace and to take the S&P 500 we have what we call the US index committee which covers the 500 and numerous other indices, all which focus on US equities. Uh, and any change to the index must be discussed and eventually approved by the committee so the committee has ultimate responsibility what goes on in the index and I guess I should add the committee is set up within S&P Dow Jones Indices to be completely non commercial. DAVID: So no commercial commitments no recommendations, suggestions, or possibly complaints from clients can affect what we do. It is strictly based on our analysis and based on the need to have an index that meets its subjective to represent US equity markets. Which is what the S&P 500 does. SHAUN: Okay and looking through the GICS framework ,what should we expect in terms of changes this new communications services sector and how did S&P Dow Jones Indices and MSCI decide to make this change? DAVID: I think the firs thing about GICS which goes all the way back to 1999 when the firms sat down to set it up we made a mutual commitment hat we would come back at least once a year and look at the way the world was, the way the investment world had changed and where the GICS still had the right structure. Because both firms had other classification systems that had gotten a little long in the tooth that were showing it. DAVID: So every year we'd have these meetings. We actually started talking about telecom 3 or 4 years ago knowing that the telephone industry had changed, it had shrunken, it was largely mobile or wireless instead of old fashioned wired lines. But 4 years ago we really didn't think it coalesced or had any idea. So in 2017 we held two meetings. one in New York, one in London . We invited people from the industry to come in including representatives from State Street[?] among other firms to really talk to us. And out of those tow meetings we got what you might call a store man, or an idea, which won the basis of a public consultation where we sent, we published a request on our website, MSCI's website saying we're looking at this, give us your thoughts. And out of that came the communications services sector and a recognition that the way people communicate 10, 20 years ago was pick up a telephone, now it could be almost anything and it could include almost anything. DAVID: So, we ...the world is changing, GICS is keeping up to date. SHAUN: So Rob, from your standpoint, uh, State Street Global Advisors and Alps, you've been tracking the S&P 500 and sector industries for a long time. So with regard to this sector change how do State Street global advisors view that and what steps have you taken in anticipation of that change? ROB: You're absolutely right, Shaun, uh, we at State Street Global Advisors and spider ETFs have a long history of managing ETFs and the S&P 500 and the underlying sectors of the S&P 500. Uh, we launched the first ever US listed ETF back in 1993, SPY, to track the S&P 500. Um, since then, the product's grown to the largest uh, ETF in the world, and the most heavily traded vehicle in the world, trading more than most of its underlying constituents or all of its underlying constituents. 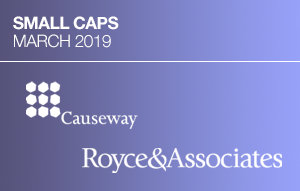 ROB: Five years after the launch of SPY we launched the first suite of sector ETF's in the US and since then have a long history of evolving alongside index changes, classification changes to keep up with the changing dynamics of underlying businesses within those sectors. We view the communications services sector evolution as a positive for our investors. Um, we consume media and communicate in a very different way today then we did historically. David mentioned we no longer have landlines and telephone communication is done primarily wirelessly. The way in which we consume media largely done uh, electronically over the Internet. 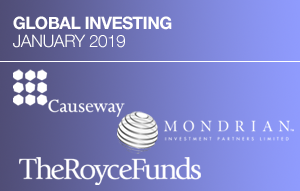 ROB: As a result of these changes, we view the launch of the communication services, GICS classification as a positive for investors to provide that additional choice and additional flexibility and the way they invest in US equity markets. In addition to the GICs classification changes we at State Street and Spider ETFs launched the first communication services sector tracking ETF. Ticker XLC back in June. We did this ahead of these classification changes to allow that additional flexibility and choice for our investors, to make investing decisions do their due diligence ahead of the reclassification in these stocks. SHAUN: Okay, interesting. David, you talked a little bit about a consultation. Uh, when you're thinking about a consultation period in such a big sector change, how do you decide how much time to give industry and asset managers and the like. Tell us a little bit more about that process I would assume that they may give you input and some of it you want to pay attention to and some of it you don't. DAVID: Well, in this case we had really been thinking about this for quite some time and rather than just figuring we had an answer and put it out there at the first step, we really felt that we wanted to reach out and get a wide range of input and so on and that was the basis for holding two meetings. Which I don't think we'd ever really done quite before in the same way. The first meeting which was in New York was very much free form. I mean we didn't ...we walked in as they were talking about what to do about telecom and there are only two or three companies in there. We've got to do something, it's getting a little bit strange. DAVID: Um, but we didn’t give them...that was what we gave them, an open field. We got a lot of comments back. We had some people who said take the whole thing and shove it into the utilities which seemed a little bit old fashioned from my point of view, but out of those discussions it became clear that the way a lot of people communicate has nothing to do with picking up the phone and pushing the buttons anymore. Uh, Facebook for a huge number of people, is the way they communicate. That’s how they find news about their families, their friends. That maybe how they find political news in some cases. DAVID: Uh, Google is the way people find out what's going on, or where to look for what's going on. Movies, television, entertainment, all of that is really part of communication. Much more than traditionally it might have been seen. So we started going through that. We realized that that came together. We then ...and that was sort of the strong man we put together, the first idea, which we took the meeting in London. DAVID: In the meeting in London people said but wait a minute Facebook is a technology company, or Google is a technology company and obviously they're big in the news. But as we began to talk about it, we realized in today’s world everybody's a technology company. It doesn't matter what you do. With the most old fashioned business it's dependent on technology. DAVID: So, we can’t call everybody a technology company and you look at Facebook, you look at Google, they make their money from advertising and that’s communication. And given that we decided some of those, some of what is technology today, until a couple of weeks from now, really belongs in communication services. And some of what is consumer staples. Or consumer discretionary. Like movies and TV along there too. And once that that's settled instead of telecom being the tiniest little sector at the bottom, it's replaced by communication services which is about a tenth of the index. DAVID: And technology which had gotten almost unwieldy, because of its rapid growth is also about a tenth or a little bit more of the index, and that is much more tightly defined than it was before. And that's what became the final consultation and the feedback from that has been very positive in the sense that yeah we think you guys got it. SHAUN: Right. Well Rob this a great segue because as David talks about what I would call like an evolution of how people view sectors and what companies would fit into different sectors who you are at state street global advisors and you're trying to track this. And I would assume you have to have your own way of getting views from investment and the clients in terms of communication services. So, I'm curious especially with an ETF already out tracking this sector, what kind of feedback are you receiving from the investment committee? SHAUN: And global as well, we aren't just ...as David said we're not just talking about this being a US investment. ROB: That’s exactly right. We have global investment communities that are investing in US listed sector ETFs of ours as well as non-US registered vehicles, such as registered vehicles that are tracking the US sector NDCUs[?] within the communications sector, as I mentioned we've launched XLC ahead of the reconstitution of those NDCUs which is coming September 21st, the close of business. ROB: Since the launch of XLC which took place in June, we've already grown that product to about 500 million dollars in assets, it's trading north of 18 million dollars a day, so we think we have a fairly sizeable samples of early adopters and investors into that font to gather feedback. ROB: The initial feedback from them has been extremely positive as you would imagine? The feeling for most of those early adopters has been the ability to look through the ETF wrapper to the underlying constituents of the index and assess the fundamentals of those underlying companies. The likes of Facebook, and Google, Alphabet[?] to uh, to look through those fundamentals and determine whether or not it meets the investment characteristics of whatever strategy it is that they’re looking to employ. In the case of communication services, um, because of the editions of stocks like Facebook and like Alphabet, um, from information technology to the communication services sector, you’re getting much grow their fundamentals. ROB: You're getting lower leverage, you're getting higher expected earnings growth. 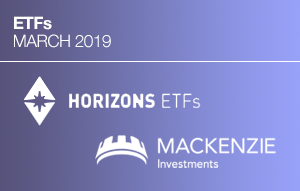 Because of those fundamental characteristics, because of recent uh, investor sentiment and price momentum we've seen a lot of investors coming to the communication services ETF that we launched. SHAUN: Right. And just a quick follow up, having been out in the field with some of your team, I know that some advisors have recognized through your education, and ours, that there's some company overlap until the sector change actually happens. SHAUN: Can you talk a little bit about how education works and how you're trying to educate investors about that. You know how education works and how you're trying to educate investors about that uh, you know it almost seems like we're in a strange science fiction period where the ETF exists, but the index hasn't quite made the change yet. ROB: Sure. Um, most of the overlap would occur um, for investors that already hauled one of the other sector ETFS obviously. Right? Um, as David mentioned the legacy telecom sector with only three constituents for purposes of an ETF that didn’t meet diversification requirements of the ....for registered investment companies in the US. And therefore we hold those three securities, those three telecom securities within our information technology ETF. So anybody that wants to purchase XLC, the new communication services sector ETF, that already owns our information technology ETF not only receives overlap of the moving securities from information technology to communication services, but also is doubling up on their exposure to the legacy telecom names, like Verizon and AT&T. ROB: So in terms of education, as you mentioned we are out there day in and day out, We're doing interviews like this, we're doing webcasts, you can come to Spiders.com to gain all types of material and information on these reclassifications on what we're doing from an ETF standpoint to track the new industries, when it's occurring and the appropriate time lines for investment. SHAUN: Right. So two more questions that I'd like to throw out to both of you. Um, in terms of these changes, why are these sector changes really important? David I'd love to get your views on that. DAVID: I think two or three things stand out. The first is you know, GICS was originally designed so people could slice and dice the entire stock market. And see what it looked like and understand what was growing, what was shrinking, what was big and small and all of that. DAVID: The stock market has changed, I think 10-11 years since the IPhone was created, so nobody knew what a smart phone was about a decade ago. Google, I think is 20 years old, that's a while back but not that far. So, there have been a huge amount of change, and so we bring GICS up to date, which we've done before. We added real estate as the real estate sector in the market, or the real estate portion of the market grew and grew and became more important. DAVID: So the first thing is really that GICS should reflect the market as it is today, not as it was ten or twenty years ago. But the other thing is, when people look at stocks and especially analysts and researchers look at stocks, we continue to question and ask ourselves, why does this stock perform better than that stock? Obviously everybody would like to know that. DAVID: And there are really two general approaches people take. The first is they look at financial measures, price earnings, they look at behavior, momentum, what we all call factors, which is clearly a big area. And an important area. But, at the same time, they also look at what the company does. Most people would say a bank is going to do something different in the way it runs its business and the way that stocks behave. Then the health care company or communication services company or an electric utility and on and on. And so as you want to look at the market and figure out how the different companies line up and what they do. That's what GICS tells you. And so you really can analyze the market two different ways. Factors and financial fundamentals, or what the companies do. DAVID: And GICS is the big half over there. SHAUN: And Rob the index itself is not investible but once it goes through an asset manager then it becomes investible. So from your perspective how are these changes in sector composition important? SHAUN: it's a big sector. ROB: That's exactly right. It makes it a big sector. The turnover is going to be significant in size. When you consider the amount of assets tracking sector related uh, sector investing, sector ETF's, indexed mutual funds, smart beta strategies that have second trality[?] constraints. Active managers that have caps on sector allocations within their policy statements. The size of the turnover in the underlying constituents as a result of the exchange is going to be material. I said scale is being the other factor that makes this so important. ROB: Not only is this a US specific change, as you know because GICs classifications are followed so widely and followed so broadly you have many changes occurring in International stocks as well. [INAUDIBLE] Ali baba are all changing classifications alongside the GICS classification in September. So, for those reasons I think it's important to the investment community. You mentioned look through to the underlying constituents and looking at those factors, looking at the fundamentals. When you have stocks like Facebook and Google moving over to communication services um, those are going to make material changes to the factors underlying, and the fundamentals of the overall sector. Uh, I mentioned previously that you know profitability leverage, earnings expectations and earnings growth are all likely to be drivers of changes as a result of Facebook and Google. ROB: The concentration of those two stocks within the ETF is currently north of 40%. That's a material allocation to two stocks in the diversified basket of securities. And for those reasons I think it's important people take note. SHAUN: Okay, and maybe to turn the question around, this last question for each of you. If we think about it from the standpoint of the US economy, and what may be changing within the US economy, how are indicies like the S&P 500 or the products that track them, measuring these changes that are happening throughout our economy? DAVID: Well, first of all the 500 alone represents about 80% of the market value in the United States. So whatever happens in the stock market, by and large it happened in the S&P 500. Um, I should acknowledge there are some activities and business that you can't buy on the stock market probably in law firms and legal services is one of the most commonly mentioned. But within what's on the market, what we're seeing is activities and companies growing up, getting much bigger, much more important. We're seeing the way consumers resend to these companies, changing rapidly. DAVID: Um, you know we talk about Facebook and Google but we forget Facebook is the way most people keep track of their families, aunts, uncles, sisters, cousins, whatever. Google seems to be the way everybody settles arguments at the dinner table. Uh, and that's about it, you know? That's changed but clearly those companies and the activities are having an impact on the entire US economy. DAVID: And you can buy them and sell them on the stock market, especially through a change rate of funds and uh, GICs reflects them and the S&P 500 reflects them because this' what it's supposed to do. SHAUN: Yeah. And Rob? Your view on that question? ROB: The US economy has driven allocations to uh, sector weights within broad diversified US equitized indicies for as long as they've been around. Um, I mean a few popular examples that we tend to refer to are, you know how technology grew in size relative to other sectors in the late 90s and early 2000s. The size of the financial sector prior to the global financial crisis. Um, you know how energy's waiting within broad and diversified indicies has changed you know in many cases dependent on the price of oil at any given point in time. It's important to note that recently we talked about Facebook and Google, you know the rest of the kind of fang[?] community gets an undue amount of attention these days, which has driven a lot of the recent price momentum. ROB: Driving, I think technology is allocation within the S&P 500 today is North of 26%. SHAUN: We're a growth bias compared to a value bias. ROB: Absolutely. Absolutely. Growth bias, value bias, I think the way in which our investors consider their sector allocations is not only factor based, it's not only looked through the underlying fundamentals of the stocks that comprise those ETFs. Um, it's based on economic cycles as well. Looking for ways to get defensive if they believe that the economic cycle is getting long in the truth. Or the longest bull market rally we've seen in our lifetime is coming to an end. They're looking to get more defensive, looking for allocations. Um, and this change is relevant to those decisions. ROB: Previously, if you thought you wanted to get defensive, you wanted to bond proxy, you may have been allocated to telecom stocks. These changes coming in September, I'd suggest that our investors reconsider that decision uh, when they look for telecom allocations within consumer communication services. SHAUN: Well David and Rob, thank you so much for your views on the GICS changes and how they'll affect the S&P 500 sectors. ROB: Thanks for having me. LAURA: Welcome back to the GICS sector strategy master class. I'm Laura Keller and I'm joined by Jody Ginsberg, managing director and head of US equities and S&P Dow Jones indicies. And returning, is Rob Forsyth, head of ETF strategies at State Street Global Advisors. Our focus, in this segment is implications of the GICS sector changes. LAURA: So Jody, let me just start with you. Could you talk to us about what the sector changes mean for the S&P 500 and the other US indicies? JODIE: Overall for the composites, the sector classification changes don't mean that much but they do mean a lot for the attribution analysis to understand the contribution to performance from each of the sectors. However for the sector investors the changes are very important. JODIE: So roughly 2 trillion dollars is moving into telecom which will now be renamed as the communications services sector. And in total that's 137 stocks moving into the communication services sector. 48 coming out of technology, with 89 coming out of consumer discretionary. And for the S&P 500 we have 23 moving into the communication services. 8 out of technology and 15 out of consumer discretionary. So overall this will make the communication services the 5th biggest sector out of 11 with just over 10% weight in the index, with tech losing about 5.4% and the consumer discretionary losing about 2.8%. LAURA: Wow, thank you. Rob, what insights do you have about implementing those index changes from your experience with sector ETFS? ROB: Sure. We at State Street Global Advisor and the Spider ETFs have a long history of managing sector ETFs through index changes. Rebalances, reconstitutions, additions, deletions and the like. Uh, and in our investors recent memory, they'll look back to the launch of the real estate sector in 2016. That was handled quite differently from an ETF investment standpoint. ROB: In September of 2016, because all the constituents of the new real estate sector were coming from the financial sector. We were able to conduct a spin off of our select sector financials ETF uh, distributing shares of a new real estate sector ETF, ticker XLRE. As Jodie mentioned, there are many more moving parts with respect to the communications services sector and these GIC classification changes. And because there are many more moving parts, because 3 of our sector ETFS are going to be impacted, we've decided to treat this rebalance as any other index rebalance. ROB: We launch a new communications services sector ETF back in June, that will hold all of the new constituents of the communication sector post the GICS reclassification on September 21st at the close of business. Because of those nuances, because of the size and scale that Jodie walked through you're going to ...an investor's going to want to trust in the investment manager that's making allocation decisions and making those trading decisions. ROB: Which is why we feel at Spider ETFs we are best positioned to provide those sector recommendations and those sector products to our clients based on the heft, the size and the scale and history of our sector allocations. LAURA: Well and Jodie we can look at these GIC changes inside the sectors. What's important to know about industries or stocks moving? JODIE: What's really important to know is that there's a lot of attention that's been putting on the FAANG stocks. So that's Facebook, Alphabet, Google, the G, there's Amazon, Apple and Netflix. And they have largely been looked at the main drivers of technology but after the changes only Apple's left in technology. And other big companies are moving into the communications services like Comcast and Disney. JODIE: So altogether what's going to happen is the biggest sub industry is going to become the interactive media and services sub industry and that will be followed by the integrated telecommunication services. Which is largely the old telecom sector and then will have movies and entertainment moving in a big sub industry group. LAURA: Okay, and what are some of the characteristic changes of the expansion of the communication sector into the communications services sector? JODIE: So the characteristic changes are really significant. First of all the number of stocks is increasing significantly. In the S&P 500 the number of stocks are going from 3 to 26, but overall in the total market 29 to 166. Again, that's adding about 2 trillion dollars of market cap. The sector will also go from 100% value to 67% growth. So that changes the investment profile of this sector really from a value sector to a growth sector. JODIE: And the PE ratios, that's the price to earnings or almost tripling from 7.7 to 21. The price to book is almost doubling from 1.9 to 3.9. Beta is increasing from 0.73 to 1.06. So it will be more sensitive to the stock market and the dividend yield is falling from 6% to 1.1%. So, the characteristics of this sector are changing dramatically again, from a value sector, really to a growth sector. LAURA: Right. Well and Rob before GICS changes are implemented by S&P DJI at the index level, there's potential that sector ETF users might have some stock overlap. Depending on which sectors they use. Can you talk about that? And then also the timing and the process for how the company changes will be implemented within the select sector at Spider ETFs. ROB: Sure. We at Spider ETFs have a wide range and a full menu of sector ETFs for investors that prefer to get their US equity allocations through sector investments. Ahead of the classification changes uh, coming September 21st we decided to launch a new communications services sector ETF, ticker XLC, back in June. The reason for offering the communications sector ETF ahead of these classification changes was to provide the sector investors the choice. ROB: The choice to either over wait and effectively overlap those constituent names between services and if they held information technology sector ETF or the consumer discretionary ETF or the second choice is to wait. Wait for September 24th, close of business, come into the office on Monday September 24th after the reallocation has taken place and that's when you can invest in XLC and communications services. If overlap of underlying constituents is a concern. In terms of the timing by virtue of having this product in market today, by launching the communications services ETF back in June, uh, we were able to align all of these ETF changes, the underlying constituent level changes of the ETF with the GICs classification changes September 21st, close of business. ROB: What that means for our investors is again when they come into the office on Monday morning their information technology sector ETF will be tracking the information technology sector of the S&P. Their consumer discretionary ETF will be tracking the new constituents on the consumer discretionary index as well as the communications services. sector. LAURA: So all September 21st. As a follow up then Rob, you noted that the spider ETFs tracking the S&P 500 sector ETFs are available in the UK and in Europe which are ussets[?] based. Are there any differences in implementation or timing for the spider ETFs domicile in the UK or Europe? Any other markets outside the US. ROB: There are some structural nuances and differences between a ussets based communication services product and a US registered investment company ETF or communication services. Those differences and those nuances are driven primarily by the regulatory environment and the regulatory approval process for investment vehicles in those jurisdictions. ROB: More specifically it is diversification requirements. 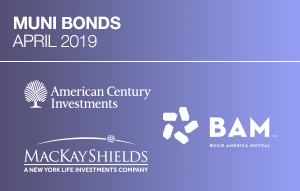 There are slight nuances to what constitutes a diversified portfolio for USITs purposes and for 40 act investment vehicles in the United States. For communications services purposes that is largely irrelevant. Most of the allocations will look substantially similar. It's important to note that because we launched our Ussets based communications services strategy at a different point in time. That was just launched last month. At a different point in time then we launched our US registered version. That the weights of the underlying constituents will look different today. That is all going to change and should align uh come the GICS classification changes, September 21st. LAURA: Okay. Well let's talk about education then and how much ...and how the global investment community can understand the GICS changes first how widely is GICS accepted in the global investment community and what information, historical data or other tools are available to help us understand the implications of these changes? JODIE: GICS is probably the most widely adopted global stock classification system that's at least adopted by major industry leaders like MSCI and S&P Dow Jones Indices. It started n 1999 and it has back tested data generally at least ten years back. Now in this case for communication services, while there's no new sector there is back tested history available for the technology for the consumer discretionary and for the communications services on a hypothetical basis and that's available upon request. ROB: I would agree ....I mean GICS classifications are widely followed not only the obvious index rebalances that we've been spending a lot of time talking about today for sector ETFs and other index based strategies. I mentioned previously that smart beta strategies, active strategies that have sector constraints. Are also likely to be affected by these classification changes. I mean something outside of your traditional, kind of long only investment vehicles that are going to be going through changes, you look at sale side, you know sales trading desks. The way in which sale side firms research teams are structured. Largely gigs spaced. You're likely to see some turnover in research analysts covering the underlying constituents of many of these sectors. ROB: Someone who had been a technology sector analyst, may now be a communications services analyst because of their insights into stocks like Facebook or Google. LAURA: Right, and as we wrap up this segment, I think it would be interesting to hear from you both. On the practicalities of the new communication services sector. JODIE: The communications services sector now better represents the way that the market looks. And it allows investors to take advantage of the differences in the companies by investing in sector. For example, with the trade tensions between US and China right now. The way that that might impact a company like Apple that's making phones with our[ labor costs and the IPhone pricing can be very different than the way that those trade deals could impact someone like Facebook or a company like Netflix that drives revenues in different ways. JODIE: So, with the differences in the sectors it allows the investors to take advantage of the way they feel companies might move with their sectors rather than needing to invest in them together. And another difference to is that now with the split it's able to allow investors to separate these views because there aren't enough stocks to have separate stand alone products whereas telecom was put in with technology in the select sectors, now they can come out and as they behave differently investors can choose to allocate one way or another. ROB: The practicalities for the new communications sector are far reaching. Um, as the business models of many of the underlying constituents have changed over the course of any number of years. The fundamental characteristics of those sectors and of those companies have changed alongside the changes to the US economy and to their business models. You look at technology stocks by way of example. Look at some of the technology stocks that are moving within the GICS reclassification and you'll see that much of Facebook's revenue, much of Google's revenue is now attributable to advertising. ROB: You look at Apple which maintains a very strong place amongst the legacy hardware and software technology companies. The release of a few new IPhones today is an example of that. Um, you look at the way in which we consume media and how closely intertwined content creation is with the way in which we're communicating. Uh, the way in which that content is made available to the masses. That changes to business models of media companies. Um, in all of these instances you'll see M&A activity driving changes. Right? And therefore, I mean you look at M&A activity within the media segments, you look at M&A activity within the telecommunications and it's also driving changes. ROB: The result of all of these changes is again to the underlying fundamentals of the overall sector. 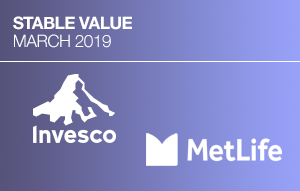 The underlying fundamentals, driving many of our clients and investors decisions on which sector to be allocated to are going to be changing as a result of these classifications. And it's important for those investors and those clients to take note of the new constituents in these sectors, what the underlying fundamentals are going to look like on a go forward basis. ROB: Telecommunications can no longer be thought of as the Bond proxy of old. Now that we're adding some of these legacy technology names to that sector you have to take note of the lower dividend yield, the higher operating margins the lower leverage ratios that re going to be involved in those sectors. LAURA: Thank you both so much for your insights. Rob Forsythe of State Street Global Advisors and Jodie Ginsberg of S&P Dow Jones Indices. SHAUN: Welcome to the last segment of the GICS sector Master class. In this segment we have two experts in use and implementation of sector ETFs. Dave Havialnd is portfolio manager and managing partner at Beaumont Capitol Management and Randy Swan is founder, CEO and lead portfolio manager for Swan Global investments. 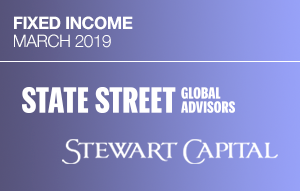 SHAUN: They are joining Rob Forsythe of State Street Global advisors and our focus in this segment is how the GICS changes to the S&P 500 sectors can impact the sector tool kit and how these tools may be used. SHAUN: The S&P 500 is widely regarded as the best single gauge of large cap US equities. There's over 9.9 trillion dollars indexed or benchmarked to the index. And in many financial studies, data for the S&P 500 are used interchangeably with beta for the US equity market. And the S&P 500 is also recognized as a global benchmark. S&P 500 companies, foreign sales were calculated at 43.6% of total index sales revenue for 2017, with Asia accounting for 2.6% of sales and European sales at 8.1.4% for the index. SHAUN: So it's critically important as a design feature for the S&P 500 index and its sectors to evolve in step with global markets. So Rob, welcome back and Dave and Randy thanks for joining us today in our master class focused on GICS and S&P 500 sector changes. DAVID: Great to be here. ROB: Thanks for having me back. SHAUN: So David and Randy, I'd love to start with you. You're both at first where you're managing assets in excess of a billion dollars and you’re suing sector indicies and sector ETFs as investment tools. So I'd love for you to start by just talking about how are you doing that? So Dave maybe if you could start us off. DAVE: Sure. I think it might make sense to quickly talk about philosophy. And what we think our clients are looking for as an active manager to actually do two jobs. Of course everyone wants a manager to grow assets during the good times, but we also find that investors are very interested in having g that manager having the capability to preserve assets when markets enter periods of failure. DAVE: So it's very important to us to be able to deliver both of those attributes to our investors. So how do we do that? we actually have two quantitatively researched investment systems that are designed to meet our investors needs and expectations. The first one is decathlon. which is more opportunistic. And seeks to use pattern recognition technology to seek out opportunities wherever they might be. And uh, certainly our sector rotating system would be the largest user of the sectors and sector ETFs. DAVE: And this is much more of a trend falling or momentum based system and what it's trying to do is in a vacuum it's going to wan to own all the sectors. But as a sector loses its positive momentum, our system is going to use rules to determine how, and how quickly to remove that from the portfolio so that it doesn't cause undue damage. And the way it provides that defense is its going to go down equal weight and will equal weight based on the number owned. DAVE: And until we get down to four sectors or fewer than 4 sectors zone, at which point we'll start to raise cash in 25% increments. Markets are in a complete state of failure we would hope that we could uh, raise a significant portion of cash and indeed can go to all cash in a market melt down scenario. SHAUN: Okay. And Randy, at Swan Global how are you using sector indicies and sector ETFs? RANDY: Yeah I'd like to start by going back to our philosophy and how we started the strategy. Really our strategy as a hedged equity and income strategy and was really kind of based on the premise that modern portfolio theory is part of the solution, but not the entire solution. So we approach the equity portion of our portfolio by really taking a value approach and that means extra weight in the sectors. RANDY: So in our large cap S&P 500 products, we use an equal weight approach using the sectors spiders. And it goes back to that same concept of trying to protect the downside. and so we use that in addition to the options to be able to hedge most of the market risk. SHAUN: Well Rob, when you and I think about Dave and Randy 'we're thinking about power uses of sector incies and ETFs. How are you seeing other US investors or international investors using sectors. ROB: Sure. I think one good example is to look internally. Within state street global advisors we aren't only the manager of indexed assets or the provider of ETFS. We have large and vast actively managed capabilities. Uh, one of those capacities is run by a group internally, the investment solutions group at State street global advisors. Generally speaking the investment solutions group is a multi asset manager that uses ETFs in a number of different ways and the sector ETFs in a number of different ways. One of the more popular strategies that is that they run mandates for some of the world's largest institutional clients. They offer ETFs that provide this exposure for retail use. Is to use sector ETFs as tactical overlays. ROB: As tactical overweight’s within their US equity allocations. They'll have a strategic allocation to US equities if they make a determination that they want to be overweight[?] US equities relative to emerging markets or developed International equities. Or that of the fixed income portion of this portfolio. They'll use sector ETFs to gain those overweight exposures. Uh, currently the investment solutions group within their global allocations fund has overweight’s to technology, industrials and energy. Each of which account for a 2% overweight within their US equity allocation. I think this is increasingly a more popular way, slightly different than the way Randy or Dave uses sector ETFS, but a more popular way for global, multi asset class active managers to use sector ETFs. SHAUN: Yeah. Well Randy in earlier segments we heard both Dr. Blitzer and Jodie Ginsberg talk about how big this sector changes is, you know? communications services being approximately a 10% weight within the S&P 500. So how does Swan Global look at that larger sector change? How do you do that analysis? RANDY: Well obviously I started out by doing a lot of research to figure out how it affects our strategy. And of course as a value approach in terms of our equity exposure we want to make sure that we don't tilt too far towards growth. And stayed true to our kind of philosophy of protection to the downside conservative in nature. So, this strategy has probably taken us a little more towards a growth tilt. I always say maybe on a scale of 1-10 1 being equal weight, 10 being value, I'm sorry growth. Then I'd say we're probably at a 3 right now. But I think that's somewhat justified by the changes in the underlying markets that have occurred since the dot COM bubble, in terms of earnings of tech companies and stuff like that. RANDY: So we're pretty comfortable with the change and uh, we think it's a good move overall. SHAUN: And Dave, from your perspective, how does, how does Beaumont Capitol management look at this big of a change? How do you analyze that? DAVE: Well we look at it very carefully, because it is a big change. Anytime you get a carve out of a group of securities that have unique perspectives both are decathlon and sector rotation processes can take advantage of that. And so we thought it would-be added right from the get go uh, just empirically, if you think about it, when you have roughly 30 companies going into this communication services sector uh, approximately a third of them have kind of uber leaders within this 9 plus year bull market. So to us it was very important to uh, quickly get that data, analyze it, and do the testing to make sure that the system's indeed uh, found an additive. And they did. DAVE: But it was equally important to us to also look at the remaining sectors to make sure that their integrity was still intact. And that would of course be consumer discretionary and technology. SHAUN: Yeah, and just as a follow up, I know that in conversations we have had in the past that you're 500 sector strategy has appeal within the retirement investment segment within the United States. Can you talk a little bit about how does this ...how does this sector strategy meet clients goals within the retirement segment? And how might the changes uh, that we're going to se across three sectors, possibly impact that? DAVE: Well again I think we have to touch on philosophy and it's even more accept within the retirement realm, uh, here in the United States. What investors are looking for are their active managers to provide them that growth but also that defensive capability. [INAUDIBLE] did a fantastic study where they interviewed thousands and thousands of investors and what they found is that the average American investor, three quarters of them, would rather give up a little bit of that upside if that manager also provided that defensive capability. DAVE: So this goes right along with both our firms philosophy of providing that growth in making sure that what we're also able to do is uh, provide a system that is designed to eliminate the large portfolio drawdowns or losses. DAVE: How we do that in the retirement space but we do have seven collective investment funds for the retirement space. Uh, you can get our decathlon growth in one of those, you can get our US sector orientation system in one of those. But we also have five target date funds. And the way we designed it was very much with the end investor mind. DAVE: So we're providing that diversification in market cap, in geography, in asset class but also in managers style. Most of the target date funds and indeed, all the ones we are aware of it's jus one style, and it's usually passive. We have some of both. Because we again know that the average investor, especially, and this is surprising, young investors do not want to be totally aggressive. And so we're listening to what the investors want and providing investment solutions that meet their needs. SHAUN: And Randy, likewise I know that your strategy is using S&P 500 sectors also has institutional adherence, some appeal there. Can you talk about how you're meeting institutional needs with that strategy? And again, how might these sector changes impact that? ROB: Well I think the institutional investor really has a lot of the same problems that I think everyone else, specifically the retail investor and that how do you manage market risks in a low yield environment, right? So, it really comes back down to how you really approach the problem of mitigating risks. We talked about it earlier and the earlier question about using options to hedge most of the market risk as opposed ...and also have a value versus growth tilt. But in the end of the day we think that the 40% of the 60/40 is really struggling to be able to reach its kind of goal. And that is obviously price stability and some income in the portfolio. ROB: So, we think having a portfolio obviously has a higher yield but also has better downside protection then just absolute exposure to fixed income that obviously has some interest rate risk at this point. SHAUN: And just a quick follow up for both of you. You've talked about the defensive nature of your strategies. Just philosophically where would hat kick in? Are you talking about, you'd expect it to kick in at a 5% downturn? 10%? or does it take a major bear market before you would see the defensive nature kick in? Randy, maybe you could start? RANDY: Sure I’ll start. We are definitely a strategy that performs well in a bear market. We hedge out most of the market risk on an annual basis so we typically tell people that as the market moves down more we're going to have ore and more protection as those options go deep in the money. So, really we try to design and manage risk to high single digits on an annual basis. So that's really basically the options are prized in terms of the 100% emotional value of the portfolio. DAVE: We actually wrote a white paper on this which you can get on our website. Which is invest BCM.com. And 2017 was quite the anomaly and I believe the largest draw down for the S&P was about 2.7%. Since the second world war on average the S& P has three five to 10% ordinary pullbacks. And we find hat the uh, typical retail investor makes two big mistakes investing. one they subject themselves to the whipsaw of the ordinary market movements and they do some panic selling and then they’re oh goodness and can't wait to get back in. So, they're doing the wrong thing at the wrong time. The second large mistake they make is they do the proverbial ostrich sticking its head in the sand. And they ride the market all the way down and it takes years for those markets, bear market to unfold. And then it takes more years for it to recover. DAVE: And if you're close to retirement that can be devastating. So, uh, to us again it's very important to make sure that we're taking emotions of investors into account. We want to make sure that we're meeting their needs and expectations and the type of strategy that we deliver. SHAUN: Yeah. And Rob is this idea that you can use the sector tools to be defensive, is that a US centric idea? Or are you seeing this as something that works in the UK or Europe as well? ROB: We're seeing this occur globally. Uh, to answer your question very directly, we're seeing inventors of all shapes and sizes use sector ETFs to express views and attempt to provide better risk adjusted returns in the S&P 500 for their clients. Um, you know as you've heard from Randy and Dave, there are a number of different ways in which sector ETFs can be sued to deliver those, those risk adjusted returns in excess of S&P 500 rate of returns. And this market environment I think has led to a resurgence in interest by institutional investors domestically and abroad um, for strategies that provide better risk adjusted returns than the S&P 500. Time to provide those returns. ROB: I think we all now that bull markets don't die of old age we've all heard that adage uh, but this ....the length of this bull market rally has led investors to become more defensive. It has led investors to look for active managers and look for areas of the market in which they can generate some sort of alpha. Sector rotation strategies have increased in popularity as a result of this. You know I believe that the use of the select sector spider suite of ETFs with in sector rotation strategies um, is done and effective there for a number of different reasons. ROB: One is simply ease of use. Um, the access to those sectors quickly, inexpensively with very little transaction costs I think, I think makes a lot of sense. Momentum and trend following strategies when applied to single stocks tends to have very high turnover. And can be quite costly when trying to execute in and out of those single stock names. And therefore I think the sector rotation strategy and the use of sector retails in those strategies makes a lot of sense. ROB: Similarly n the option side, uh the suite of select sector spider ETFs has a very deep and liquid options market. And I know in Randy's strategy I believe he's using S&P 500 index options. But many investors are looking to the underlying options of individual sectors to either provide down side protection, or as Randy mentioned in a yield starved environment produce additional income for their investors. SHAUN: Right. Well Randy and Dave I'd love to go a little bit deeper into the analysis. You're both operating very focused strategy. So Randy, maybe if you could start. When you think about these changes can you talk a little bit about your process at Swan Global? Just in terms of, just how do you evaluate such a big sector change? RANDY: Well we did a lot of research and we obviously relied on the information from state street global advisor. They've been a great partner throughout the years especially this year but even going back to when we actually adopted the equal weight approach in 2012 so it's been a collaborative effort to try to come up with the best solution for our clients. Um, knowing that this is probably a much needed change in the indices and the sectors approach. So we looked at everything form earnings, tax consequences, you know, where our philosophy’s were, and how that lines up in terms of too much of an equal way ...I'm sorry value versus growth approach. RANDY: And just really came down to you know we felt very comfortable with giving it a 10% allocation. So we of course have ...we are in the process of obviously selling you know 1 or 2% of most of the other sectors to get us back to that 10%, not counting obviously real estate. But it made a lot of sense at the end of the day after our research. SHAUN: Well thank you. And Dave, from your perspective? DAVE: I certainly agree that State Street and S&P down jones indices were extremely helpful in providing the data to us quickly and again it was not only the data on the reconstituted communication services but it was also on tech and discretionary. That allowed us to go back and do our research uh and make sure that it was indeed additive. Um, the way we look at it is this, uh, you split these new sectors and they all have different jobs and that's what our systems are going to glom onto. DAVE: And before we did want to implement this we've learned a little bit form what real estate was split out. We wanted to be a leader with this change and we invested very early in it because we had that information, we were able to do the research and plug them right into the sector process. Uh, decathlon[?] has been a little slower by design, but the idea is that we're able to act quickly because you gave us the info. And so, thank you. Um, but back to how do these really pan out? DAVE: We've heard in the previous segments uh, the methodology behind it, but we think of it this way. Technology now are the companies that actually make the technology. Whether it’s hardware, where it might be Intel or Apple or software with Microsoft or Adobe or what have you. The idea is that they're making the technology. DAVE: Communication services are now using technology to deliver a service. So tech is more B2B just buying a computer you're getting all of that hardware and software already delivered in it. So there’s been a lot of B to B uh, interaction. The communication services is business of the consumer. Whether it's Facebook or CBS or Netflix. They’re delivering something to the consumer and then now the consumer discretionary is much more the consumer and how they want to use the technology. So it’s more consumer driven in whether you're talking about Amazon or even Ebay's been moved over. This is the consumer being able to take advantage of these companies. DAVE: so to us the whole process made a lot of sense very quickly and empirically. And uh, as I said you know once we did the research and we did look at this carefully, but it just made a whole pile of sense and we wanted to act quickly and be a leader in the field. SHAUN: Right. and Rob we were talking prior to the uh the show about how that might look from a UK perspective or the European perspective and acknowledging that what Dave and Randy od you know they’re often using sectors together. SO if you looked at it more traditionally in terms of single sector use or what sectors might compliment the home bias the UK may have, or a European investor may have. What have you seen at State street global advisors. ROB: Sure. The State Street global advisors, being that we're investors of all shapes and sizes, domestic and abroad. We tend to see that investors uh, of any specific country or region tend to have that home bias. Domestically and in the US you tend to see inventors allocate more heavily towards US equities. Internationally, depending on the jurisdictional region in which investors are located. They all have a home bias to that jurisdiction and allocate more heavily towards those securities. Um, the sector suite of spider ETFs allows for those investors that would typically have a home bias to express views and diversify away from that home bias. Domestically as I mentioned earlier that tends to occur with overweight’s and underweights to their broader US equity allocation and internationally when they’re using US sector um, Us sector spider ETFs, they’re using it in lieu of other US equity allocations by and large. ROB: Generally speaking, I think the addition to the communications sector to the suite of select sector spider ETFs, is a good thing for all of these investors. I thin that having more tools in the tool kit is something that any portfolio manager can appreciate and would welcome. For those investors that have current allocations or overweight’s to uh, certain tech names it provides them a more tailored solution and provides them the flexibility to go a bit deeper into the underlying constituents that are making those overweight’s or providing those aspects or fundamentals that they appreciate in their investment strategy. It allows those portfolio managers to be a bit more specific with which underlying constituents are best used to achieve the investment objective or whatever strategies they’re managing. SHAUN: Well thank you so much and Rob, Dave, Randy, thank you for your insights in terms of analysis of the sector changes as well as ideas in terms of implementation. DAVE: It's been a pleasure. Thanks for the opportunity. RANDY: Thanks for having us. SHAUN: Thank you for joining us today. To stay up to date with the last sector data and research, visit www.spdgi.com.